I have nice beauty gift with purchase offers from Nordstrom (secret) and Saks Fifth Avenue to share. Plus, today only deals from Amazon, Elemis and QVC. NORDSTROM (NEW) Nordstrom Pop-in Shop Merry + Bright coming Nov 16, preview here. This post may contain affiliate links. Read the full disclosure. Neiman Marcus Winter Gift Bag and new Lancome gift with purchase at Neiman Marcus, Saks Fifth Avenue, and Nordstrom. Plus, Target Advent Calendar 2018. Neiman Marcus (NEW) Receive a clutch filled with complimentary gifts, yours with any $125 beauty purchase. 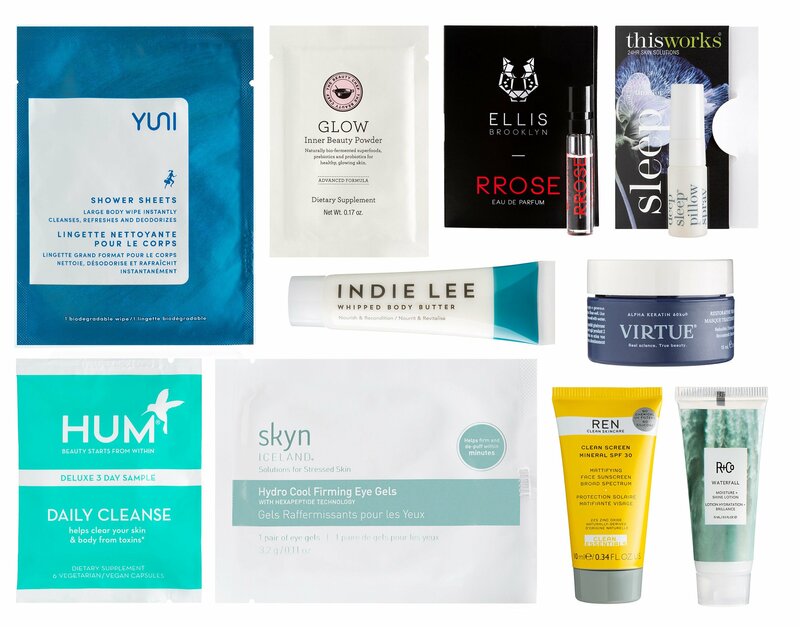 One clutch including 6 samples* from: This post may contain affiliate links. Read the full disclosure. Estee Lauder and Lancome fall gift with purchase new arrivals at Saks Fifth Avenue and Bergdorf Goodmand for fall 2018 only. Plus, if you are eyeing on Neiman Marcus awesome sale, it’s sweeter with the AMEX coupons (select members only). Saks Fifth Avenue (NEW) GIFT 1: Receive for a limited time only, your 7-piece gift with any $75 Lancôme purchase, worth $187.40. Combined with new gift card offer below. This post may contain affiliate links. Read the full disclosure.